Update: Unfortunately, the Senate Committee did not act on the bill. Let’s hope that positive change will occur in the next legislative session. No child should ever be abused. I believe adopted children deserve a special level of protection, since their movement from their biological family and their placement into an adoptive family (if done legally, ethically, and transparently) involves local, state, federal, and sometimes international laws and regulations. 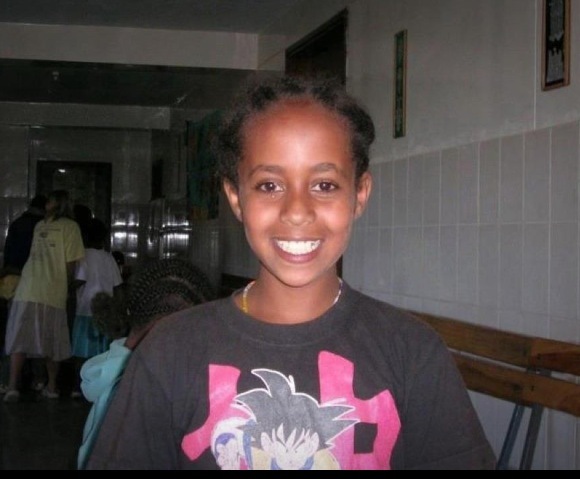 Hana Alemu (aka Hanna Williams), 13 years old, died at the hands of her adoptive parents here in Washington state, in Skagit County, on May 12, 2011. Her obituary said she passed away unexpectedly. The coroner’s report said she died from hypothermia, found naked and dead locked outside her family home on a rainy night when temps were in the 40’s. News reports said she’d been beaten, starved, made to use a toilet outside, and, at the time of death, weighed less than she had at her arrival in the US from Ethiopia in 2008. Her adoptive parents have yet to go on trial. To its credit, Washington State is working to ensure that additional measures are in place to prevent such horrors happening again to any adopted child. The Department of Social and Health Services and the Office of Family and Children’s Ombudsman issued a report on severe abuse of adopted children; it’s sobering, daunting information about adopted children who were abused in terrible ways. Hana is among them. The children whose abuse (and, in some cases, deaths) prompted this report were from both US and international adoptions. Improved training and post-adoption services, including additional support services for adoptive families. These proposals, which would apply to US and international adoptions, are significant and necessary. Some of the recommendations require relatively small legislative changes, and HB 1675 was introduced in the Washington State House, passing by a vote of 90 to 7. On March 21, the Senate Committee on Human Services and Corrections held a hearing on the bill. Several people from the Ethiopian Community Association in Seattle traveled to Olympia to speak in favor of the bill at the hearing, as did I. Some folks would like to see this bill called “Hana’s Law,” to honor her memory. The ECA folks were there because of deep concern about the safety of Ethiopian children adopted to the United States. I was there as the adoptive parent of twin Ethiopian daughters, 6 years old when they came here, 24 years old now. All of our hearts ache for Hana; her death was a tragedy of suffering that never should have happened. I hope I am wrong in hearing that HB 1675 will not be sent to the Senate floor by the Human Services Committee. They have only until Wednesday April 3 to move the bill. It is a great opportunity for a state legislature to act publicly and positively on legislation to protect adopted children. This entry was posted in Adoption, International adoption and tagged abuse, Ethiopian adoption, Hana Alemu, Hanna Williams, legislation, Washington state by Light Of Day Stories. Bookmark the permalink. Let’s hope firstly that the Bill passes. Let’s hope strongly they name it after Hana! Absolutely right on both counts.